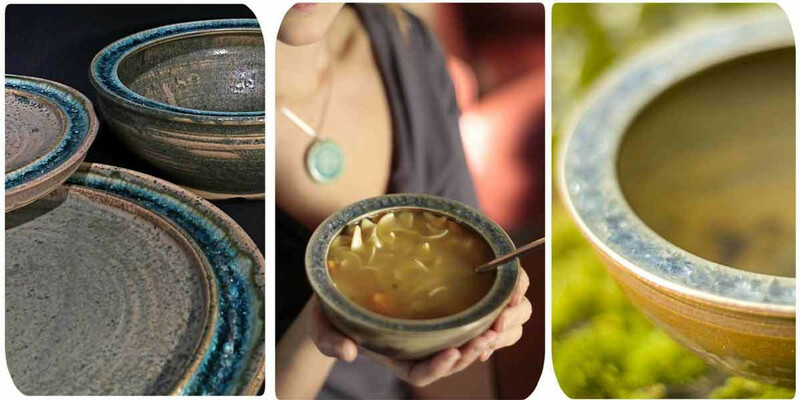 Handmade ceramic dinnerware adorned with crushed glass that turns every occasion into a celebration. Made in the USA with 100% recycled glass. Setting a table with Paloma's recycled glass dinnerware will turn every occasion into a celebration. Using our classic rim as the vehicle for our signature melted beach glass, each ceramic plate and serving piece is jewelry for your table. Our potters have crafted a stunning array of handmade pottery serving platters and tabletop pieces that turn your table from ordinary into extraordinary. Whether you choose our well-scaled salad bowl, the popular low fruit bowl, our two sizes of serving bowls, or our adorable candy bowl, you will love how we have balanced scale, form and function.